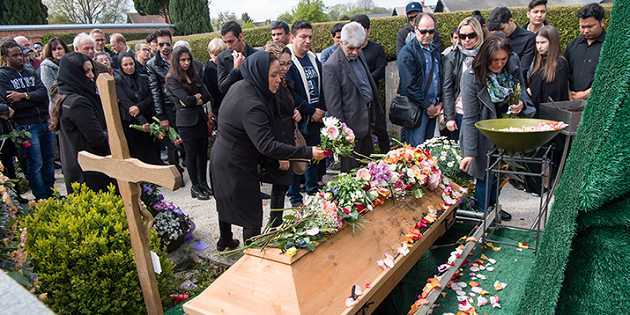 (Evangelical Focus) — Dozens of friends, neighbors and Christian leaders supported the relatives of an Afghan woman who was killed in front of her two children, last week in the region of Bayern (Germany). A 29-year asylum seeker (also from Afghanistan) has been accused of stabbing her with a kitchen knife outside of a supermarket, the police said. After the attack, the woman was brought to a hospital but later died. The Christian woman, F.S., had left Afghanistan and was an “example of integration,” a representative of the local authorities of the locality of Prien (Bayern) said.